IN YEARS to come we will wonder how we ever lived without such sophisticated technology. Today, the world says hello to Amazon's newest Alexa-powered devices. The e-commerce giant today (PTD time) announced more than a dozen new gadgets in a media presentation in its Seattle headquarters. The new items range from clocks, home security, microwaves, car gadgets and third-party devices. Only some of the new devices will be available in Australia which include the Echo Dot, Echo Plus, Echo Show and Echo Sub. The Echo Input will become available later in the year. The devices reflect where people spend most of their time which is the home and car. More than 120 journalists and media influencers from around the world are attending the launch at the Amazon HQ today, learning about the products and getting hands on with the new devices. I am one of those lucky journalists, flown all the way from Queensland to attend the launch. I'll spend the day finding out for myself just how these gadgets can help make our everyday lives easier. Amazon's Alexa is a virtual assistant. 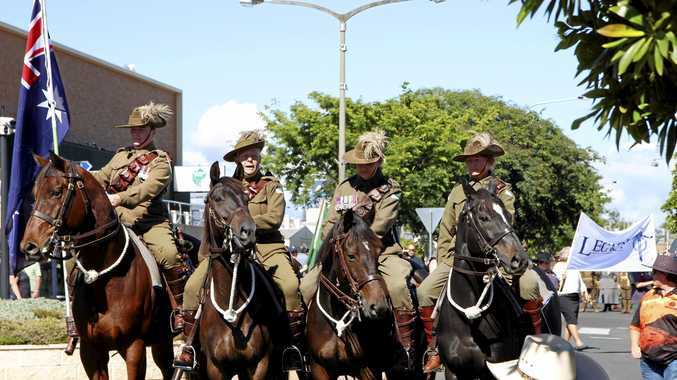 It was released in 2014 in the United States and made its way to Australia in February this year. 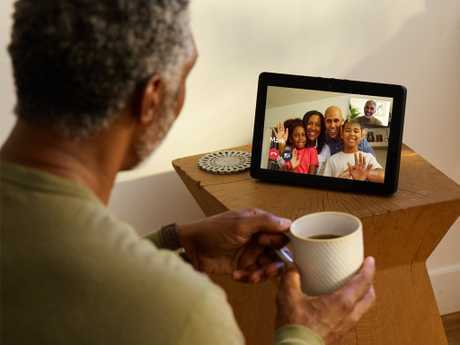 It is capable of voice interaction, music playback, making to-do lists, setting alarms, streaming podcasts, playing audiobooks, and providing weather, traffic, sports, and other real-time information, such as news. Alexa can also control several smart devices using itself as a home automation system and users can extend the capabilities by installing different skills. The first new Alexa-based product announced was the New Echo Dot. The Echo Dot already has more than 75,000 five-star reviews across the world, but Amazon has been working on ways to make it even better. 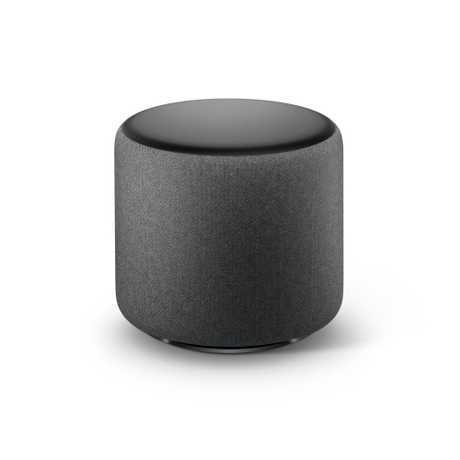 The next generation Echo Dot features a fabric base, is available in more colours, has a 1.6 inch driver and is 70% louder, with clearer sound. It will be available in charcoal, grey and sandstone, letting customers easily mix and match. The Echo Dot is RRP $79 and is available for pre-order now. 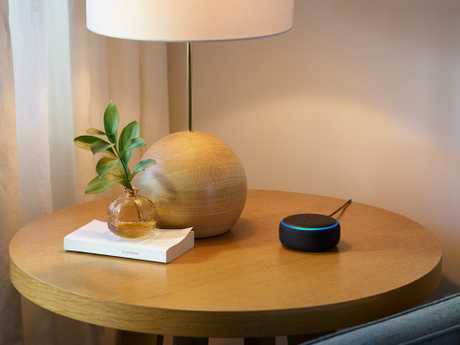 Just say "Alexa, discover my devices," and the Echo Plus with automatically discover and set up compatible lights, locks, plugs and switches. Echo Plus also has an embedded temperature sensor, so you can set temperature-based routines using other smart home devices. The Echo Plus is RRP $229 and is available for pre-order now. The Echo Show has been completely redesigned. It has a fabric backcover, larger 10-inch HD display with smart, crisp visuals and a smart home sub inside. The incredible sound comes from its powerful speaker system. When consumers ask Alexa to show them the weather, watch a video or pull up a shopping list the experience will be "more delightful" as its screen displays vibrant, colourful and fresh visuals. It has a built-in 5MP camera that supports high-definition video calling and great for hands-free calls. It will also be adding browsers so that the websites customers love are only a tap away. 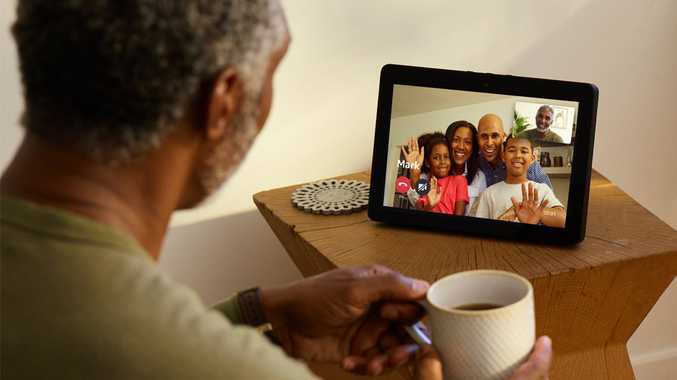 The Echo Show is available at RRP of $349, you can pre-order now. Another Amazon Alexa-related gadget which will make its way to Australia later this year is the Echo Input. It has far-field microphones but instead of including its own speaker, it plugs into or pair with another speaker, so that Alexa gets added to an audio setup that's already in your home. Other items announced by Amazon include the Echo Wall Clock, Microwave and Alexa Guard. These will not be available in Australia this year. A new device that is set to be popular is the Echo Wall Clock. It looks like an ordinary analog clock until you begin setting timer just by talking to it. It can set timers for anything - children's homework or for pasta boiling on the stove. The clock tracks any timers you have set via a series of LEDs around the rim. Customers never have to worry about the confusion with daylight savings time, the clock will know to adjust all on its own. One of perhaps the most surprising new products is the new Amazon Microwave. It is the first kitchen appliance for the company. The device will be sold under the AmazonBasics line. Consumers can inform the microwave how they would like to cook something and for how long simply by using an Alexa wake phrase. 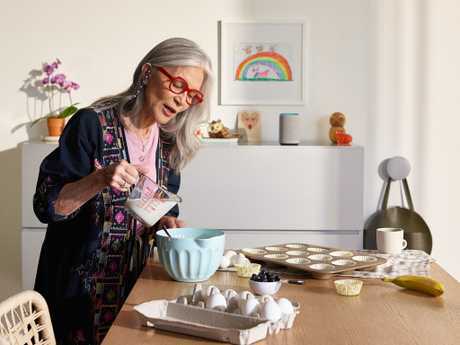 It also comes also comes with a built-in Alexa button, so customers can avoid saying "Alexa" or "microwave" and verbalise the cook time. An incredible new product has the ability to protect consumers homes while they aren't there. When you are leaving your home you can say "Alexa I'm leaving" or something similar and Alexa will move all devices around the home into guard mode and kick off smart alerts. While in this mode if it detects anything out of the ordinary such as breaking glass or smoke it will send a snippet of the noise or video clip to your phone, so you are able to act accordingly. If you have smart lighting set up in your home, you can turn on away mode lighting and Alexa will randomise lighting throughout the inside and outside of the home, giving the illusion someone is home to deter anyone from breaking in. More details to come throughout the day. Amazon Go store in Seattle. Landing in Seattle a day before the launch, I had a few hours to spare in the afternoon and couldn't go past the chance to visit Amazon Go. And wow, was it amazing. At first glance it feels as if you are walking into a supermarket, packed with shelves of food such as soft drinks, chips, yoghurts and take-home meals. But, it is far from an ordinary store. You walk through subway station type gates to enter and there are no checkouts, which means you don't physically pay for your items as you leave the store. It is a "Just Walk Out Shopping Experience." Located in Downtown Seattle, the first store of its kind opened in January this year. 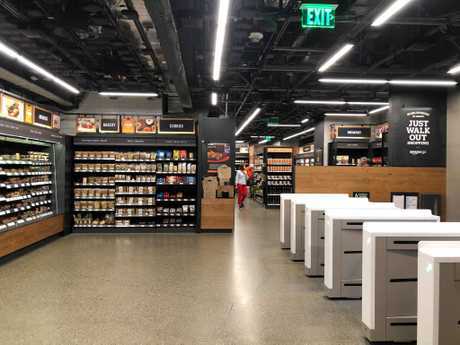 Inside Seattle's Amazon Go store. Consumers simply download the Amazon Go app, log in with their Amazon account, walk into the store and begin shopping. 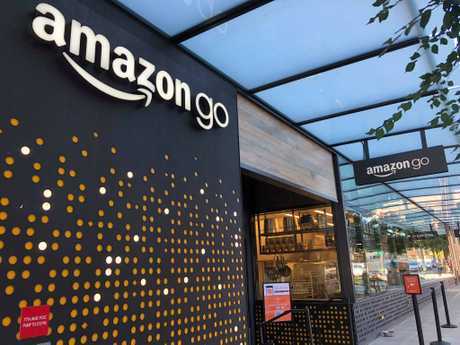 Amazon Go uses advanced machine learning, sensor technology, machine vision and artificial intelligence similar to that found in self-driving cars. It can tell when you pick an item up from the shelf, and when you put it back. Shoppers browse the shelves, fill up their own shopping bags and at the end... just walk out. Their Amazon account will be then charged, and a receipt will be emailed moments later. As I walked out with my hands full, not having physically paid any money to a cashier, I even had to stop myself and check-in with the staff member on the door that I wasn't about to somehow accidentally steal these items. What exactly is the internet? : A look at the history of the internet. He smiled at me and told me I was "all good to walk on out." It was certainly a futurist way to shop and can see why it has been referred to as the store of the future. Amazon has pushed the boundaries of computer vision to create a store which will save people time, again and again. Unfortunately for us Aussies, there are no direct plans for an Amazon Go store to launch in Australia anytime soon. The writer attended the Seattle event as a guest of Amazon.